One of the prototype samples produced by the ENEA/CEA collaboration. Tests have confirmed the quality of the poloidal field conductor design. 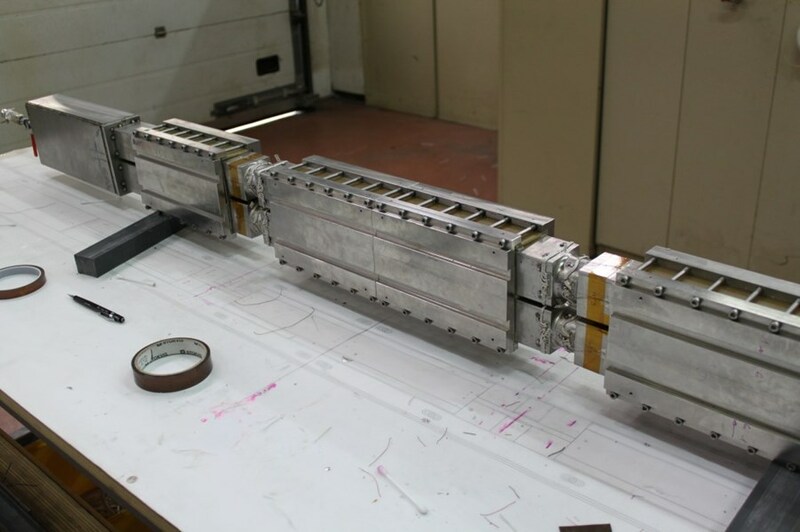 In order to define the test procedures and the acceptance criteria for the manufacturing of the ITER poloidal field coil conductor, the ITER Organization commissioned ENEA (Italy), in collaboration with CEA/IRFM, to study, design and produce two prototype samples. The ITER Organization provided the raw conductor, while the ENEA took care of the "jacketing" operations and manufactured the lower box. IRFM was entrusted with the realization of the terminals and the instrumentation. Both teams worked in close cooperation. The first sample was successfully tested on the test bench SULTAN at the Institute Paul Scherrer, in Villigen (Switzerland). Testing of the second sample should be complete by the end of the summer. CEA also participated in the supervision and analysis of the test results. Tests carried out on the first sample indicate good performances that confirm the quality of the poloidal field conductor design, as well as the validity of the work performed by ENEA and IRFM teams in the manufacturing process and instrumentation of the sample. This constitutes an important and promising step on the critical path to qualify the ITER poloidal field conductors.